The former second-in-command at the Manse on Marsh accepted a plea deal with state prosecutors that will likely enable him to avoid jail time over the 2014 death of a dementia patient who walked away from the San Luis Obispo assisted living facility and was struck by a car. 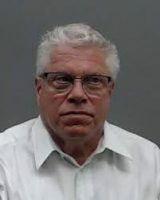 Gary Potts, 64, the former administrator of the Manse on Marsh, pleaded no contest on Monday to a felony charge of elder abuse. In exchange, prosecutors dismissed a felony involuntary manslaughter charge. Christopher Skiff, the former Manse on Marsh owner, has already stood trial and been convicted of manslaughter and elderly dependent abuse in the case. Skiff received a six-month jail sentence, though he is currently appealing his conviction. Potts is also expected to receive six months in jail, but his plea agreement calls for the jail sentence to be stayed pending completion of probation. A judge is expected to sentence Potts to three years of formal supervised probation. In Dec. 2014, Mauricio Edgar Cardenas, 65, was attempting to cross Los Osos Valley Road in Los Osos when he was hit and killed by a 2010 Dodge Challenger. The CHP determined the driver was unable to avoid Cardenas because of the darkness at the location he was crossing. The following March, state investigators raided the Manse on Marsh, as first reported by CalCoastNews. Then in July 2017, the California Attorney General’s Office charged Skiff and Potts with involuntary manslaughter and elderly dependent abuse. Prosecutors alleged the Manse on Marsh admitted Cardenas as a resident, even though he had a dementia diagnosis and the facility lacked a waiver to handle such patients. The Manse on Marsh had previously been cited several times for admitting residents for whom it was not licensed to provide care, and former employees said there were numerous dementia-diagnosed residents at the facility. During Skiff’s trial, prosecutors argued that the Manse on Marsh owner ordered his staff to urge a doctor to reevaluate Cardenas, who was eventually admitted to the facility with a recorded primary diagnosis of mild cognitive impairment. Former employees testified that Skiff and Manse on Marsh staffers had daily meetings in which they discussed a “hot list” of prospective residents who had medical and other barriers to admission and created action plans on how to get the individuals admitted. Skiff was due to turn himself into jail on March 22. But on March 11, Judge Craig van Rooyen granted a motion to postpone his jail sentence pending the outcome of Skiff’s appeal of the verdict. Potts’ sentencing is scheduled for May 6. Jeffry Radding, Potts’ attorney, said his client lives out of state.